Internship: Students can gain experience in industry and learn the skills necessary to begin successful careers by participating in internships. Exchange Programs: Our exchange programs let students study for one semester or one year at a top overseas or Mainland university with no additional tuition fees. Honors Courses and Independent Work: Academically able students may enroll in enriched and accelerated honors or independent study courses and enjoy closer guidance from professors. Research Opportunities: Students can undertake undergraduate research under the direct supervision of a professor on selected topics. Programming Contests: Our students have participated and performed well in various competitions, such as ACM International Collegiate Programming Contest and ACM KDD CUP Data Mining Contest. 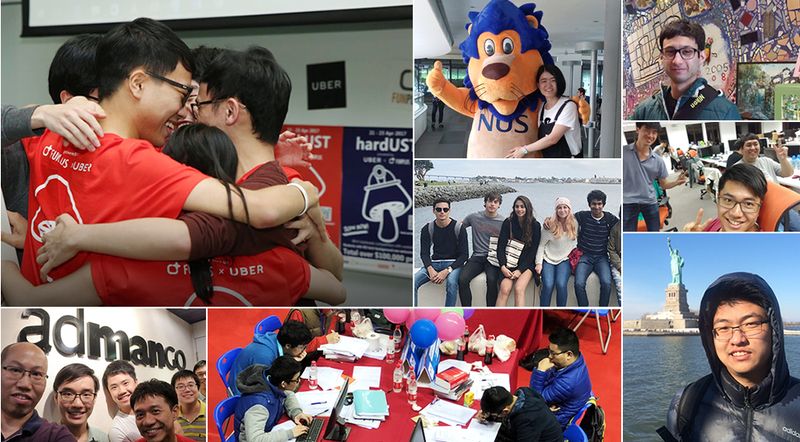 Hackathon: In this annual event organized by the HKUST Entrepreneurship Center, students work with designers and entrepreneurs to build product prototypes within 24 hours and present them to a panel of judges.